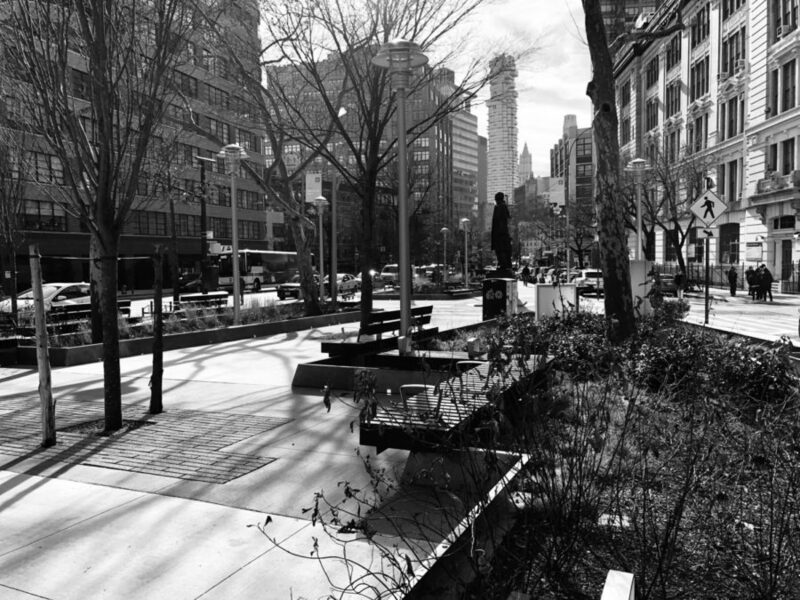 Spring Street Park is located directly across from the iSchool. There are plenty of benches and other seating areas available for students to sit down and enjoy their lunch. 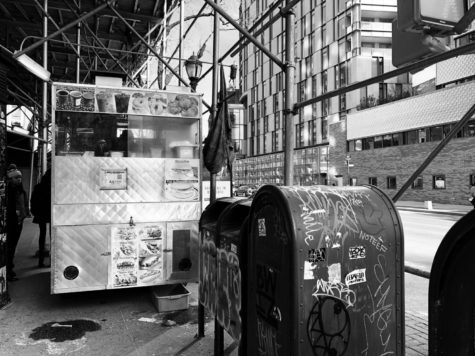 A small coffee cart located on the corner of Spring Street and 6th avenue is right next to the Spring Street Subway station. Here, coffee and other food is served for very cheap. 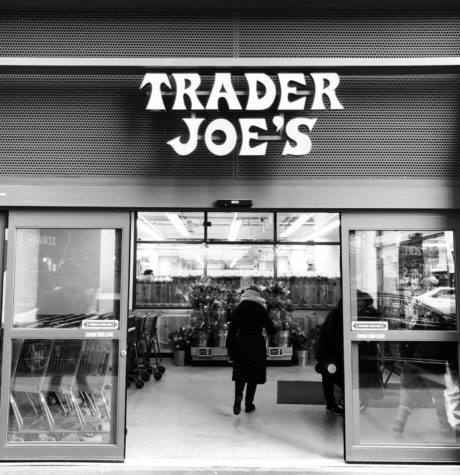 The grocery chain Trader Joe’s is on Spring Street between Varick street and 6th avenue. A variety of goods and premade meals are available to buy here at fair prices. 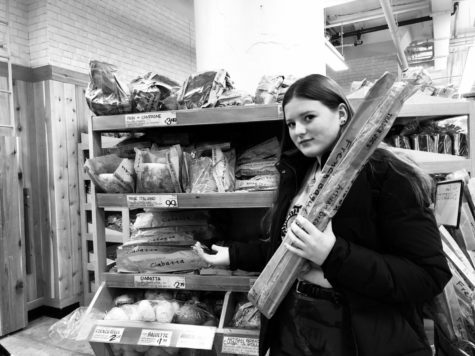 Slava Hausler-Lew, a freshman at the iSchool is seen here holding a baguette in front of a shelf displaying a variety of different types of bread inside of Trader Joe’s. 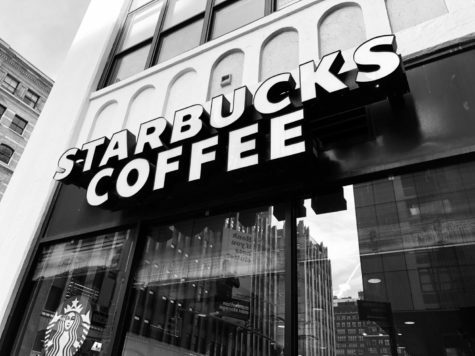 Starbucks, the popular coffee chain, is conveniently located only 2 blocks away from the iSchool on the corner of Spring street and Varick. 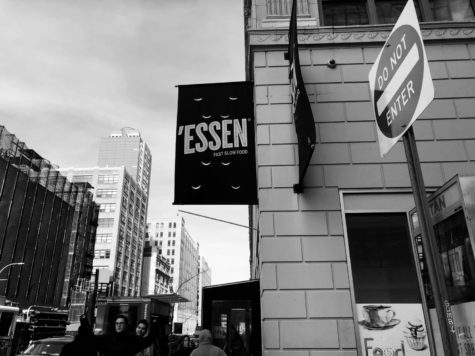 Essen, the fast-slow-food restaurant, is on the corner of Varick and Vandam Street. At Essen, they serve a variety of foods, such as sandwiches, sushi, noodles, and plenty more. 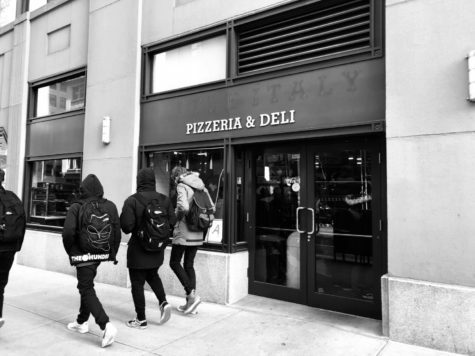 On the corner of Varick and Charlton Street, a small deli serves pizza and bagels. It is a popular place for iSchool students to buy lunch and sit down. 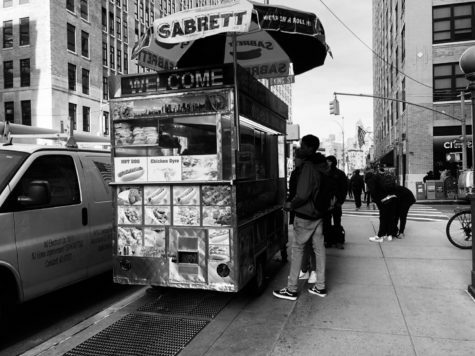 On the corner of Varick and King Street, there is a small food truck that serves hot dogs, falafels, and other food and drinks. 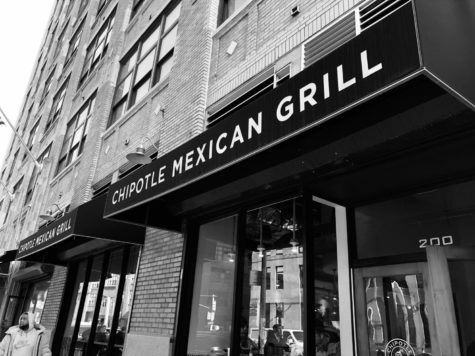 The delicious but expensive Mexican chain, Chipotle, is located on Varick street between King and West Houston. Burritos, bowls, quesadillas, tacos, and other Mexican dishes are available here. 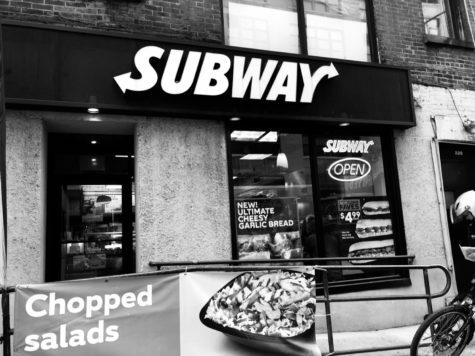 On West Houston Street, another fast food chain, Subway, is located. Here, students can buy a variety of sandwiches for lunch. 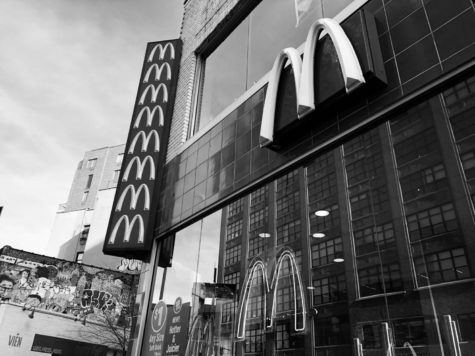 On Varick Street, between Downing and West Houston street, there is the popular fast food chain, McDonalds, where plenty of students indulge themselves in unhealthy (but delicious) junk food. 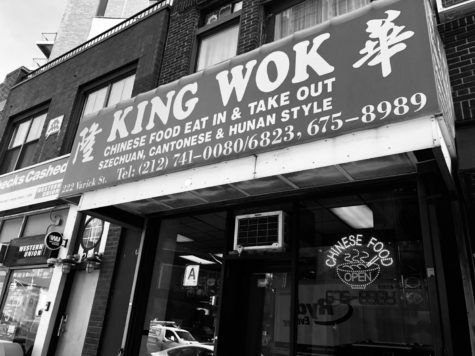 Right next to Phil’s pizza is a Chinese restaurant called “King Wok”. Plenty of Chinese dishes are served here. 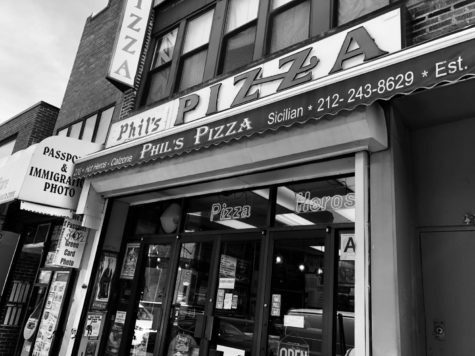 Between Carmine and Downing Street, a small pizzeria called “Phil’s Pizza” is a great place to enjoy a classic slice of New York pizza for only a couple of dollars. 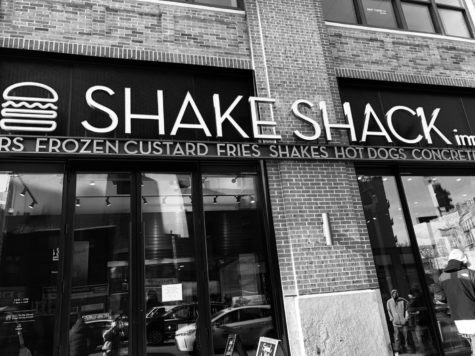 The well known food chain, Shake Shack, is located between Houston and Clarkson. Burgers, fries, and milkshakes are just a few of the many foods on the menu here. 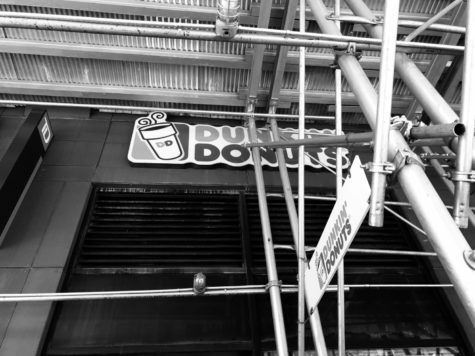 On Varick street between King and Charlton, there is a Dunkin Donuts hidden underneath scaffolding. 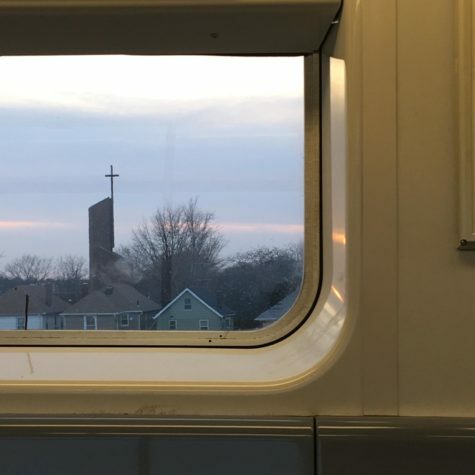 Coffee, donuts, sandwiches, and other food options are available here. Sydney Wargo is a freshman at the NYC iSchool. She is an investigative journalist for iNews. She likes creative writing and reading.